Bug hunters Jing Wang, Ph.D., and Terry Wright, Ph.D. The drug, sulfasalazine, spurs the body to get rid of the fungal evaders by enhancing the body’s ability to chew them up instead of leaving the debris to litter the lungs, where it would continue to provoke an onslaught of harmful inflammation. Besides opening a new avenue for research on Pneumocystis pneumonia or PCP, caused by the fungus Pneumocystis jirovecii, the work with mice also offers the possibility of manipulating immune cells called macrophages to improve treatment of infections. An image of a macrophage (outlined in gray) in the lung, gobbling up Pneumocystis. The blue area is the cell’s nucleus; the orange and yellow areas show bits of the fungus being destroyed by the cell’s lysosomes. The findings by scientists at the University of Rochester Medical Center were published August 19 in the journal PLoS Pathogens. During a bout with Pneumocystis, the lungs become a battlefield, where the body pits an array of impressive forces against marauding microbes. But even when the body gets the upper hand, the damage is tremendous. Immune cells like neutrophils and macrophages can flood the lungs, literally suffocating the patient. And when the debris from dead microbes fills the lungs, more and more immune cells are called in to clean up the area, making matters worse. It becomes harder and harder to breathe. “Many people assume that once the microbe is dead, patients usually start to feel better immediately. But with Pneumocystis, patients do not always undergo a rapid clinical improvement following antibiotic treatment. Even though the bug has been killed, the debris that is left in the lungs continues to promote inflammation,” said corresponding author Terry Wright, Ph.D., an infectious disease specialist and associate professor of Microbiology and Immunology and of Pediatrics. Pneumocystis is a common bug that infects nearly everyone at some point; the authors say that more than 80 percent of children have been infected by the age of 2. Most people shake off the infection without consequence, but for people with cancer, AIDS, or other diseases that compromise their immune system, the infection can be deadly. Usually there are few signs that the patient is sick until the infection is well established and the fungus is widespread in the lungs. 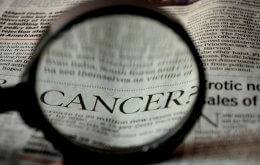 Among cancer patients, mortality rates as high as 40 percent have been reported. Since the body’s immune response is central to how Pneumocystis kills patients, doctors use two different types of drugs in tandem to treat patients – an antibiotic to kill the bug, and steroids or another type of drug to reduce the consequent inflammation. Central to the study were mice in which the disease progresses in a manner very similar to AIDS patients. The remarkable strides in AIDS therapy in recent years have come with a down side for many patients, thanks to Pneumocystis: When anti-retroviral therapy kicks in, a patient’s immune system often becomes stronger very quickly – and if the fungus is present, the immune system attacks it vigorously, causing a potentially deadly form of pneumonia. Wright’s team looked at the effects in mice of sulfasalazine, an anti-inflammatory drug that has proven useful in treating conditions like Crohn’s disease and rheumatoid arthritis. The team found that Pneumocystis-infected mice treated with sulfasalazine developed much less severe disease than untreated mice. The sulfasalazine-treated mice had better lung function, less weight loss, and were generally healthier than untreated animals. While some of the benefit was due to the drug’s anti-inflammatory properties and was expected, the result included a big surprise: The drug also spurs the body to remove the bug more aggressively by boosting the activity of immune cells called macrophages. “This was unexpected,” said first author Jing Wang, Ph.D., research assistant professor in Pediatrics. “Since we reduced the response of the immune system, you would think the mice would get sicker. But instead, the mice treated with sulfasalazine were healthier. At first we thought it was due solely to the anti-inflammatory activity of the compound, but it turns out that sulfasalazine actually results in a reduced fungal burden. The drug helps the body clear the infection. “We initially thought we had done something wrong, and so we repeated the experiment again and again. Then, when new technology was developed, we were able to document that the body cleared the infection more readily with sulfasalazine,” added Wang. Scientists have long known that the body’s immune T cells are central to the body’s response to fight off the infection. The Rochester team showed that the body’s T cells spur macrophages to attack the fungus – to engulf its particles and chew them up in a process known as phagocytosis. While scientists have long suspected that role for macrophages, the Rochester team relied on a new technology to gather the first direct evidence of macrophages engulfing fungal particles. The scientists worked closely with Timothy Bushnell, Ph.D., and others at Rochester’s Flow Cytometry Resources Core, investigating new ways to use lasers to capture images of molecular events. Bushnell’s team ultimately connected the team with scientists at Amnis. Together the group developed a new way to capture macrophage phagocytosis in single cells from mice infected with Pneumocystis. The technology enabled the team to capture more than 40,000 such events, compared to just a handful when using conventional microscopy. The team showed that as macrophage activity increased, the animals’ health improved and levels of fungus decreased. For example, 17 days after infection, mice treated with sulfasalazine had nine times as many macrophages that had engulfed fungal particles compared to mice that had not been treated with the compound. “This marks a new direction in which to look for new therapies to treat Pneumocystis as well as other inflammatory diseases. Identifying modulators that can increase or decrease the action of our immune system in a precise manner is a growing area of research,” said Wright. Recently researchers have come to realize that there are different kinds of macrophages, and Wright noted that the type whose activity is trigged by sulfasalazine does not contribute to inflammation. In addition to Wang and Wright, other authors include Francis Gigliotti, M.D., professor of Pediatrics and of Microbiology and Immunology, and also chief of Infectious Disease at Golisano Children’s Hospital; Samir Bhagwat, Ph.D., research assistant professor of Pediatrics; and Thaddeus George from the Amnis Corp. in Seattle. The work was funded by the National Heart Lung and Blood Institute and the Strong Children’s Research Center.